Between waving a snowy England goodbye, to stepping out into the wall of Bangkok heat, a not too blissful 21 hours had passed. Thankfully, we had pre-booked a hostel, could jump in a taxi, and head straight there. The only street we’d ever heard of was of course Khao San Road, so we’d opted for a hostel on the street parallel. As we drew closer and closer to the centre on Bangkok on day one of our epic trip, we started to grow slightly nervous of what to expect… and even more so when we were told by our driver that we’d reached our street. There were market stalls everywhere, cars, scooters and nifty tuk tuks zooming about, and an array of distinct smells in the air – exciting yet daunting. 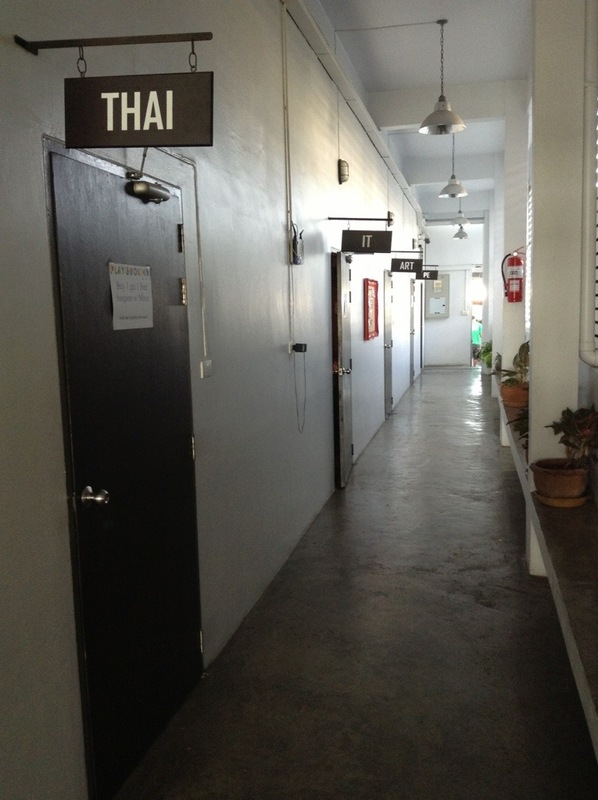 And then… *cue angelic ray of light* beamed Nap Park Hostel. From the botanical pathway to the front door, to the enormous air-conditioned social area, it was cool, calm and, mostly crucially, clean. The staff at reception were helpful and welcoming, whilst the dorm itself was spotless, modern and cleverly set out. 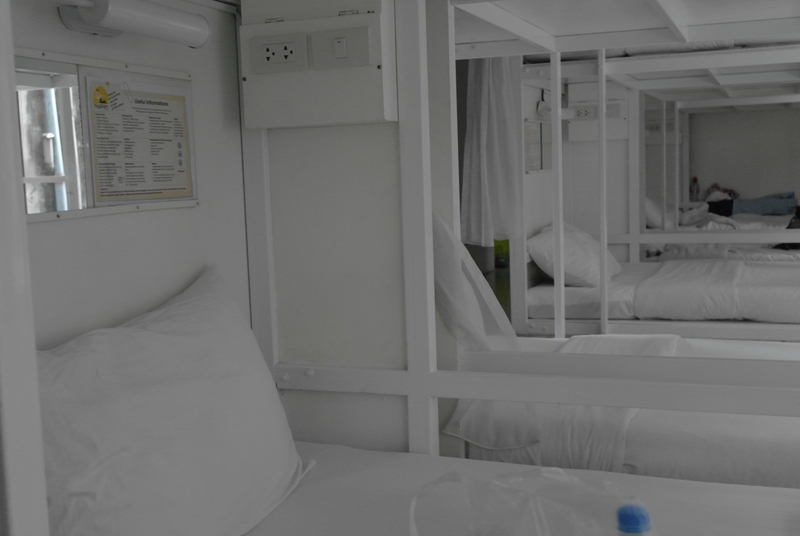 We went for the basic 22 bed dorm and couldn’t believe how sleek it was; especially as it only cost 350 baht a night (about £7). Luxury dorms are available but the only differences we were aware of were dorm size and fewer beds per room. Our dorm was divided up so that there two bunk beds per section. At night thick mosquito blinds were pulled down around the bed, creating your own private compartment, complete with a personal light, mirror and plug socket.